I always think it's such a shame that once we have the new Spring Summer catalogue released, that some of the lovely products in the Annual catalogue get forgotten. So I decided to break open one of my favourite sets - Happy Birthday Gorgeous - and make another card with that. 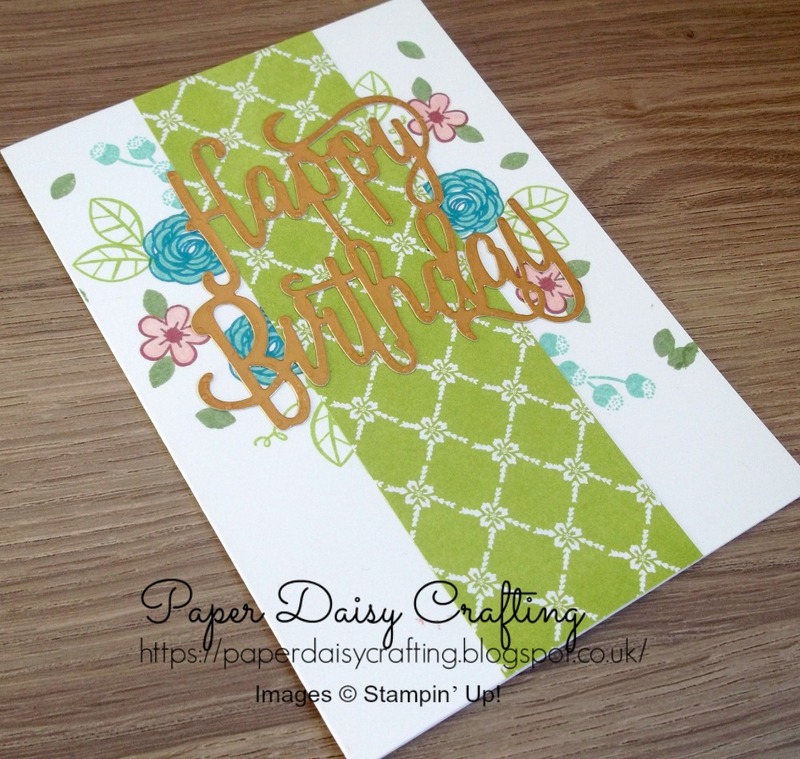 As well as that lovely stamp set, I've also used the Happy Birthday Thinlits die, which I have die cut using our gorgeous Copper Foil card. 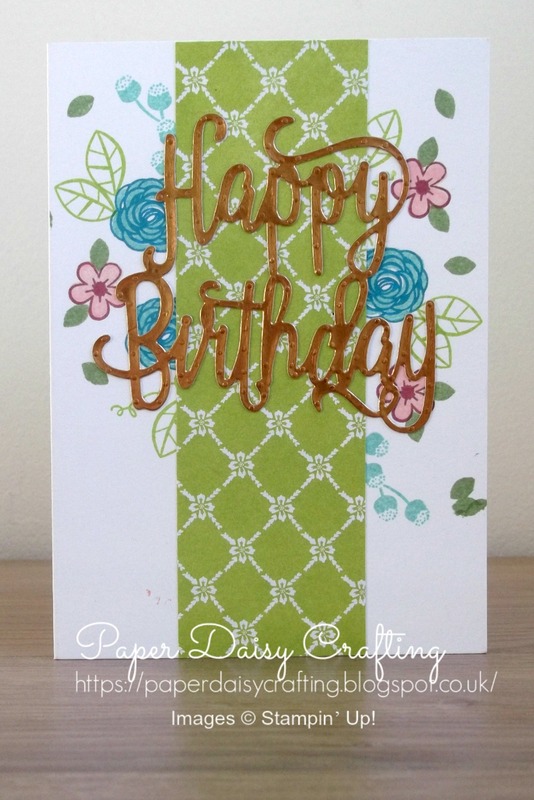 And the central panel is from the Fresh Florals DSP pack - I still love those papers. The bundle of stamp set and Thinlits die costs £33.25 (a 10% saving on buying them separately). Add to that the Fresh Florals papers (£20 for 40 (yes, 40!!) sheets) and you will qualify for a FREE Sale-a-bration item. Hope you like today's card. I'll be back soon with another - I'm trying to blog every day in March. It's early days - we'll see how it goes! All the products I have used to make this project are all available from my online shop. Simply click "Shop Now" button on the top of this page or click any of the images below to go direct to that item in my online Stampin’ Up! shop. If you order from my online shop please use my monthly shopping code (below) to receive a free thank you gift from me as I really appreciate your business.